Andrew Emery has a Bachelors of Music from Westminster Choir College of Rider University in Voice Performance. As a performer, Mr. Emery has worked with multiple companies in diverse settings, some being Walt Disney World resort’s “Beauty and the Beast” through AEA, national performances and recordings with the New York Philharmonic at the Lincoln Center under conductor Kurt Mazur, New York Choral Artists under conductor Dr. Joseph Flummerfelt and the Mid-America Production with Carnegie Hall. In April 2016 Mr. Emery joined Orlando Opera for their performance of W. A. Mozart’s The Impresario as Buff and Francis Poulenc ‘s Les Marmelles de Tiresias as Presto. Andrew is part of the emerging artist programs with St Petersburg Opera Company where he has been in the chorus of both Bizet’s Carmen and Puccini’s Turandot in 2015 and a finalist with Opera Idol SPO 2016. 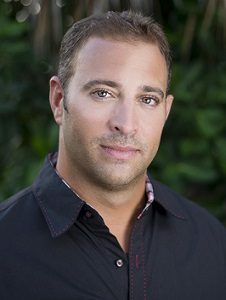 Mr. Emery enjoys teaching piano and vocal lessons at his private studio in Tampa as well as singing with Tampa Opera Singers around the Tampa Bay area. Andrew covered the dual role of Benoit/Alcindoro in last season’s smash production of La Boheme with St. Petersburg Opera.